The usual rhetoric that people who have a loved one who is currently in the grips of their addiction, be that alcohol, narcotics, eating disorders, gambling, or any other behavioural or process compulsion, is to wait until they are ready to have help and any interfering with just prolong their determination to engage with their addiction. This has been the traditional stance fed to families for many years, and yet it’s not entirely true. It’s absolutely true that in trying to help them we can unwittingly enable the addict to conjure up more excuses to hide away inside their disorder, and to send them spiralling off towards further challenges in their life. To shield them from the very consequences that might spark a change is a natural decision for a loved one to make. The tough choice would be to confront the addict and have the courage to no longer rescue them from their diseases, but to permit them to experience larger and more severe consequences of their addiction. This is how an addict prepares himself or herself for change – by experiencing pain and realising for themselves just how hard life will be to continue using. So we need to give them a graceful exit from their addiction and our Sober Interventions are the perfect way to bring about a genuine chance for permanent change in the addict, through a loving and healthy process, led by our Senior Practitioners. 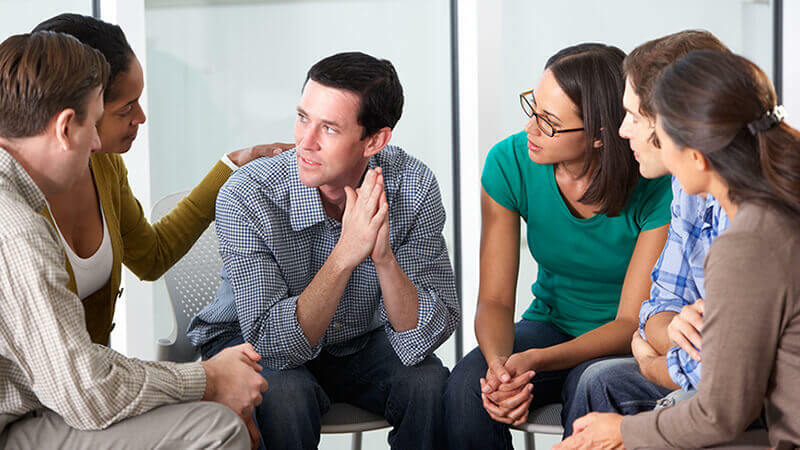 If your loved one is in serious trouble with their addiction and they don’t seem to want to stop yet, then you will want to consider a Sober Intervention. An intervention happens when family and friends of an addict create a process to lovingly, but firmly, confront the addict and urge him or her to accept the help they’re offering, – to access detox and residential rehabilitation as the first stage towards breaking their cycle. Some Interventions fail, particularly if the family aren’t all 100% behind the solution or when we haven’t prepared ourselves enough to be able to overcome all the objections the addict may have. Occasionally, despite all this the addict refuses to accept help and the family cave in rather than sticking to the plan. And it’s extremely important to choose the right facility for them to access or else the Intervention opportunity would be completely wasted. So why bother going to all that trouble and expense? Why take the chance of spoiling the hope that they’re going to choose to get well anyway if we wait just a little longer? Here are seven reasons why an intervention is absolutely worth the risk. 1. Addiction is a progressive disease that only ever gets worse (never improving) if left untreated and is always fatal in the long run. When do you think would be the best time for your loved one to stop slowly (or rapidly) killing themselves with poison and debilitating behaviours? The best time to stop is now! So if there was a process that could help break the cycle, surely it would be a better solution than just waiting for them to ‘grow out of it’ or to naturally decide that they’ve had enough now. Especially with young adults whose brains are still developing, there has to be some urgency in your decision to react appropriately. Or with some alcoholics a delayed response diminishes the chance of them ever experiencing a full recovery due to “Wet Brain Syndrome”, which is very similar to dementia and terribly sad to witness. Waiting for a loved one to find their own “bottom” can be like waiting for stage II cancer to get to stage IV before starting treatment. 2. Interventions are necessary to save lives because one of the defining features of addiction is denial and resistance. One of the trickiest things about addictive disease is that it seems to tell the addict that they’re all right and there’s nothing to worry about. The addict is unable to see what everyone around them can see. We call this denial and it’s the biggest reason why addicts resist from getting help for themselves whilst everyone around them watches them slowly kill themselves. Why would we let a clear symptom of a dangerous disease keep us from trying to get help for the sufferer? If someone you love is unwell, surely you’d want to help them heal, even if they insisted that they were fine? 3. Often addicts and alcoholics have to experience sobriety for a while (3 to 6 months) in order to realise for themselves that they actually want to be sober. This is why 12 week Rehab programmes are so much more effective than 28 day ones, and it’s a major indication as to the failure of just detoxing someone without the psychological and behavioural health assistance offered by long term treatment programmes. The statistics speak for themselves – the longer someone is surrounded by a recovering community, the better their chances for permanent recovery. The shorter the treatment exposure or experience, the higher the likelihood that they’ll lose their internal battle with their addiction and resume their behaviours again, with an even higher prospect of fatality. The fact is that Rehab works and it can change an addicts life around in the space of 3 months, which if you think about it is a real miracle in itself. The fog of their addiction and insanity lifts for long enough that they can willingly reach for recovery and decide to stay. 4. Recovery doesn’t have to wait for great devastation or loss, just like addiction isn’t waiting until everything’s perfect before striking. We don’t have to wait until the addict has a major consequence in their life such as divorce, hospitalisation, losing their job, bankruptcy, arrest, etc before intervening in their descending spiral of life. We can give them the gift of recovery right now, before everything or anything further is lost. This means that the addict no longer needs to lose everything before we can introduce them to recovery. 5. Despair, shame, and fear of death alone won't bring most addicts to the point of change. In fact, the opposite is more likely to happen as these painful emotions merely fuel the cycle of self-hatred and self-sabotage, reinforcing an addict’s fear that they don’t deserve to recover. Addicts can feel so depressed and have so much despair about the cycle of addiction that they know they’re in, but yet the only way they know to find a solution from these feelings is to consume or behave in exactly the way that’s killing them in the first place. This is insanity in action. A Sober Intervention delivered from a loving and caring place will be a truly powerful experience for everyone involved, most of all permitting the addict a ‘graceful exit’ from his or her disease. 6. A low point doesn’t become a turning point in someone’s life unless “hope” is offered as part of the vision for the future. Pain will cause addicts to seek a solution. Sadly, in most cases the solution they’ve discovered is entrenched in their addiction – e.g. they drink to drown the sorrows of their alcoholism. So we need to be presenting to them a picture of recovery, which permits them to feel safe and secure, and one that allows them to stop feeling the pain – whether emotional, mental, physical or spiritual. Without a vision for a better life and with nothing to lose, an addict will continue along a series of tough life experiences for years, whilst loved ones look upon them aghast at the depravity they resort to. A strategic Sober Intervention by loved ones will signpost them towards to a healthy and sober life that’s absolutely worth living and experiencing. 7. Without a Sober Intervention, far too many addicts simply won't reach their bottom until they're locked up in an institution, hospitalised with a life threatening condition or even dead. Let’s not beat around the bush here – addiction kills. Everyone with addictive illness faces a life that will be shortened unless recovery is found. Furthermore, performing a Sober Intervention and placing the addict into residential treatment will set new boundaries and life patterns that are bound to have a profound effect on their future lifestyle. It is also a way of showing an addict just how far they’ve fallen and at the same time displaying to them just how deeply you love and care for them. Being part of such an event can be an intense, certainly emotional experience, but with our Sober Interventions it’s always handled with love as the driving force. Not only will it change the addict, it will also change you!